In this episode, we highlight another genealogy author. 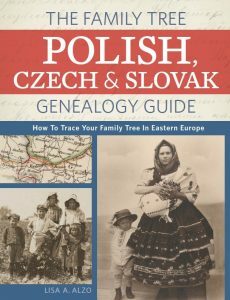 I talk with Lisa Alzo about her latest book, The Family Tree Polish, Czech and Slovak Genealogy Guide: How to Trace Your Family Tree in Eastern Europe. 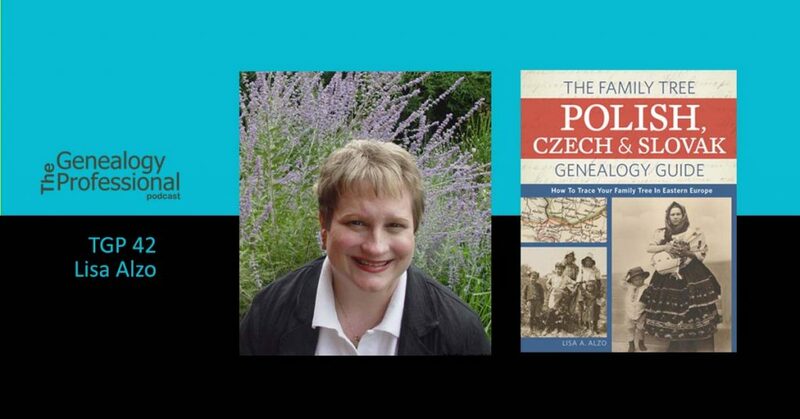 Lisa A. Alzo, MFA, is a freelance writer, instructor, and internationally recognized lecturer specializing in Slovak/Eastern European genealogical research, writing family history, and using the Internet to trace female and immigrant ancestors. 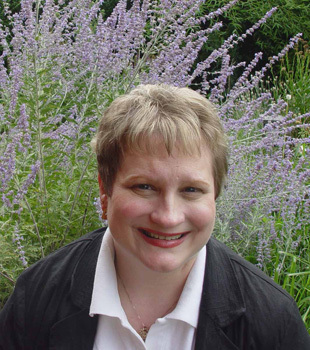 She has written hundreds of magazine articles and ten books, including the award-winning “Three Slovak Women.” She is a contributing editor for Family Tree Magazine and teaches online courses for Family Tree University and the National Institute for Genealogical Studies. As a lecturer, she’s been a frequently invited speaker for all of the largest US genealogical conferences, as well as genealogical and historical societies across the nation and in Canada. An avid genealogist for over twenty-five years, Lisa also chronicles her family history adventures on her blog, The Accidental Genealogist. Trace your Eastern European ancestors from American shores back to the old country. This in-depth guide will walk you step-by-step through the exciting–and challenging–journey of finding your Polish, Czech, or Slovak roots. You’ll learn how to identify immigrant ancestors, find your family’s town of origin, locate key genealogical resources, decipher foreign-language records, and untangle the region’s complicated history. The book also includes timelines, sample records, resource lists, and sample record request letters to aid your research. Whether your ancestors hail from Warsaw or a tiny village in the Carpathians, The Family Tree Polish, Czech and Slovak Genealogy Guide will give you the tools you need to track down your ancestors in Eastern Europe. 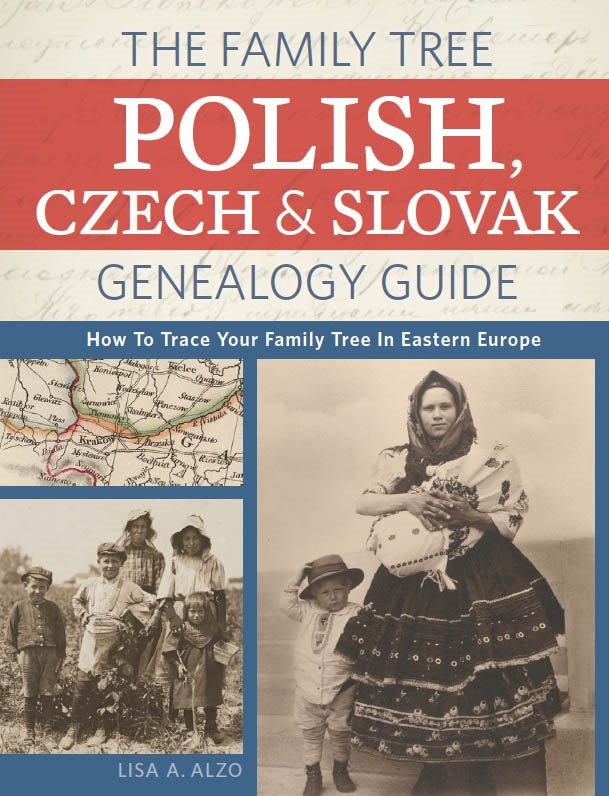 The Family Tree Polish, Czech and Slovak Genealogy Guide: How to Trace Your Family Tree in Eastern Europe is available for purchase from shopfamilytree.com and Amazon.com. Researching Polish, Czech, or Slovak ancestry is complex. Lisa and I discuss how to overcome the challenges of this research area. Knowledge of the history of an Eastern European ancestor’s country is essential as boundaries changed but ethnic identity remained intact. Locating and getting access to record repositories can be difficult. Hiring an on-site guide/researcher can make a research trip to the old country more efficient and successful. Proper planning increases the satisfaction of heritage traveling to ancestral villages. Lisa Alzo wrote a book that filled a gap. There is no other book available covering Czech, Slovak and Polish research. Her book fills a real need. What I want you to do is to is to think about your niche. Where are the gaps in the area where you provide services? You might need to do some research to see what has already been written. Before you think that your niche is already done, think of your topic in a different way. For example, if you do Colonial New England research maybe you could focus in on Catholics who came to Colonial New England. Or perhaps write a book about how cemetery research can help with colonial research. You get the idea. Try to find a way for you to fill a gap in your niche. There could be a book waiting inside of you! In Genealogy Business news, I mentioned it last week but I’ll mention it again – the Association of Professional Genealogists is looking for a managing editor for the APG Quarterly magazine. Check out the publications page on www.apgen.org for more information about the publication. Interested parties can send cover letters and resumes to admin@apgen.org. The deadline for that is coming up quickly on July 10th 2016. In other APG news the annual Professional Management Conference Early Bird deadline is coming up on July 15th. That’s just 12 days away from the release of this episode. Be sure to register by then so that you can save money off the registration price. In addition to regular presentations there will be a number of workshops. These allow you to go in-depth on a particular topic. William Beigel will be presenting a workshop called Researching and Interpreting WWII American Military Casualty Files. Karen Gridley will present the workshop Shift Procrastination to Get More Done in Less Time and with Less Stress. Bethany Waterbury will present a workshop on DNAGedcom. Michael Lacopo will present Finding Dead Ancestors is easy: Finding the Living Can be a Challenge! And lastly Melanie Holtz offers a workshop called Virtual Coordinator: Managing a Genealogical Business in the Internet Age. You can learn more about the conference at www.apgen.org/conference. As a reminder, I have started a newsletter for The Genealogy Professional podcast. You can sign up for that on the front page of the website . That is also your ticket for getting into the free but top secret Facebook Group. I want to give you a little peek behind the scenes here at the Genealogy Professional podcast. This show which we offer you for free is the work of four people. In addition to myself, Pam Wolosz is doing the show notes and learning audio editing. George Edwards, the creative producer, critiques each episode and makes creative content suggestions in order to improve the overall quality of the program and finally Jean-Luc Pierre-Louis Jr. provides tech support and keeps the equipment and machines running. All told each episode takes 8-15 hours to produce. In the past I have had some people offer donations. I’ve always hesitated to accept those. But no more. In recognition of all the efforts the team is putting in to make this show for you I will now have a PayPal donation button on the website if you feel so moved to donate. I want you to feel like a supporter or contributor to the show – part of the backbone that keeps us going. So head over to the Supporter tab on the website if you’d like to become a supporter of the show. The donations will be divided amongst the whole team. Also, a personal appeal from me. We are getting back on track with episodes and working hard to bring you the interviews that help you understand the genealogy profession better. At this point I really need to hear from you. I need to know that what we are doing is helpful to you. So if you could, please find the show in iTunes and leave a rating and review. Signal to iTunes that the show is alive and let us know that you’re happy to be listening. Without that, sometimes I just wonder if I’m talking to myself.